Hey, pals! How’s your morning going? I think a good mind-stretcher this morning would be to help me figure out what’s going on in this picture, exactly? 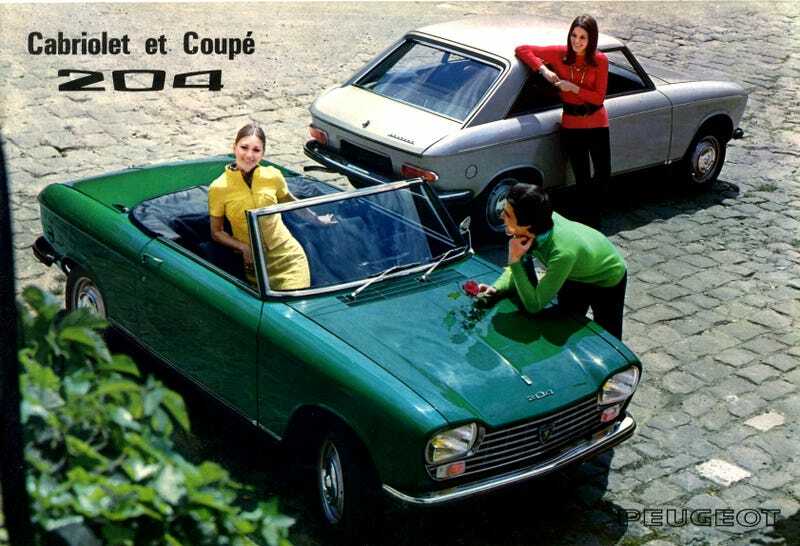 Is the woman in that adorable Peugeot 204 coupé supervising this strange exchange between Mr.Rosecarhoodesk and Ms.Yellowrithe? Is she coaching? Nothing’s clear here. Still, these are charming little cars.